Minister of the Interior (Slovak Republic). 2015. Response to Global Detention Project - Access Info Questionnaire. 14 May 2015. 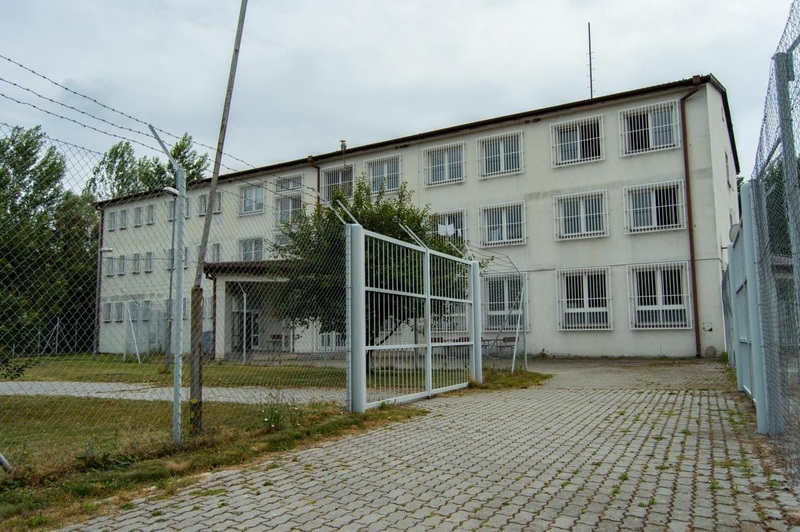 Ministry of Interior, Útvary policajného zaistenia pre cudzincov, Website, http://www.minv.sk/?upzc, accessed 6 April 2016. Slovak Republic Ministry of Interior. Web site. Custody Services for Foreigners - Contacts. http://www.minv.sk/?upzc (accessed 8 July 2009). Committee Against Torture (CAT). 2009. Second Periodic Report: Slovakia. UN Office of the High Commissioner for Human Rights. CAT/C/SVK/2. 22 January 2009. http://www2.ohchr.org/english/bodies/cat/docs/AdvanceVersions/CAT-C-SVK2.pdf (accessed 22 June 2009). Caritas Slovakia, "Slovakia," in Civil society Report on Administrative Detention of Asylum Seekers and Irregular Migrants in Europe: Common Position of JRS in Europe, Jesuit Refugee Services-Europe, December 2007, http://www.jrseurope.org/publications/Final%20Report%2010%20NMS%20Dec%2007.pdf (accessed April 2008). Slovak Republic Ministry of Interior (Ministerstvo vnútra, Slovenskej republiky). Web site. Custody Services for Foreigners – Contacts (Útvary policajného zaistenia pre cudzincov – Kontakty). www.minv.sk/?upzc (accessed 8 July 2009). Bureau of Border and Aliens Police (BBAP). 2008. Yearbook: 2007. Ministry of Interior. http://www.minv.sk/swift_data/source/policia/hranicna_a_cudzinecka_policia/rocenky/rok_2007/2007-rocenka-uhcp-en.pdf (accessed 29 June 2009). European Parliament. 2007. The conditions in centres for third country national (detention camps, open centres as well as transit centres and transit zones) with a particular focus on provisions and facilities for persons with special needs in the 25 EU member states. European Parliament, Directorate-General Internal Policies, Policy Department C, Citizens Rights and Constitutional Affairs. Contract Ref: IP/C/LIBE/IC/2006-181. December 2007. 2011 Act on Residence of Aliens (No. 404/2011 Coll of 21 October 2011), www.minv.sk/swift_data/source/policia/hranicna_a_cudzinecka_policia/pravne_predpisy/Consolidated%20version_No404-2011_1_1_2014.docx, article 88(4).